• What is a tea sommelier? In a dining context, it is easy to discuss wine and tea as analogous because the breadth of knowledge required to acquire expertise in either beverage is of comparable magnitude. We use the term sommelier because the role of wine sommelier in restaurants is established and readily understood by most people. 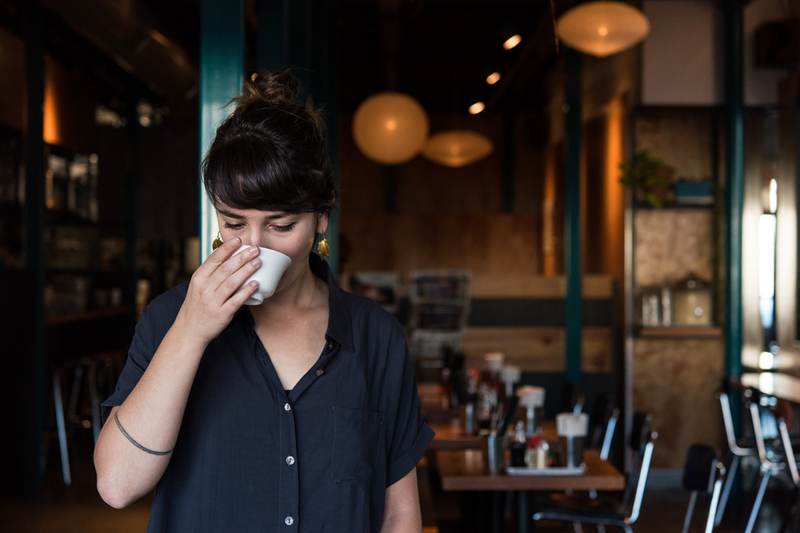 Tea sommeliers work to create tea lists that are complimentary to menu items, train staff on brewing and tasting techniques, and serve and source the tea itself. They are tastemakers who guide guests though a new and exciting experience of tea. •Tell us about your path to becoming a tea sommelier. I had just left graduate school and was completely wiped out. I was sitting in a tea garden, enjoying myself more than I had the previous five years when I turned to my best friend and told her that all I wanted to do now was study tea. The following week, I interviewed at the Tao of Tea and was hired to be a server in their small restaurant on Belmont. It was there that I was trained on tasting and brewing, under the guidance of industry veterans. I drank tea all day long. When the teahouse was slow (May through October, yikes), I spent my time pouring through every book in our company’s library and picking senior employees' brains. I wanted to know everything about tea because I had truly fallen in love. Outside of work, I became part of a community of tea drinkers. My days off were filled with tastings and Chanoyu (Japanese tea ceremony) training. At my bartending job (because, of course, I had two jobs—one for learning and one to pay the bills) I would bring tea in and prepare it for my co-workers, gong-fu style. I’d discover a tea and devise a cocktail. I’d work with my friends in the kitchen on developing recipes for tea pickles and tea glazes and tea pot de crèmes. Days at the teahouse and nights at the bar went on for over a year. I was drinking or reading about or making or talking about tea for 18 hours a day. I left the teahouse and was hired to help open the bar at Noraneko. During orientation, I introduced myself and talked about tea (obviously). Afterwards, Kina and Gabe approached me and asked if I could help them with the tea program. I distinctly remember telling Gabe that I would only do it if we did it right. Luckily, they let me run with it, and I have been the tea sommelier ever since. Everything clicked together, just like that. • Where have you traveled to in the pursuit of tea knowledge, and what did you learn? In September, I travelled to Thailand, Vietnam, Taiwan, and Malaysia in search of great examples of tea from underrepresented tea growing regions in our market. Tea from China is afforded a certain prestige, similar again to the wines of Burgundy. The demand for Chinese tea is so high that it is simply impossible for the tea farmers to meet. So, now you have Chinese tea grown all over the region that is then sold for export. Many of these are good teas, great teas, in fact. But, they can’t be fully appreciated because their terroir is often ambiguous. The idea of opening up conversation around where tea is actually grown was the impetus for Tea Somm and our sourcing trip. We asked ourselves why we couldn’t find many examples of great tea from places that were geographically similar, or proximal to China. When travelling, we operated under the assumption that if the climate is similar, and the people are the same, then there must be great tea grown there too. And, we were right. One thing that I noticed when I returned from our trip is that many people’s perception of quality tea is rooted in authenticity. This is completely understandable, because tea is the oldest beverage on the planet and has many associations with spiritual practices. But, it is easy to forget that it is also the most widely consumed beverage on the planet. In tastings and when I prepare tea for guests, I am often asked if I am doing things ceremonially or in a traditional way. The answer is tricky because it is always yes and no. When we traveled through Northern Thailand, we drank Tie Guanyin oolong with Chinese ex-pats who had been cultivating the region since Mao’s Cultural Revolution. In Taipei, we brewed Tie Guanyin grown in Taiwan, with pomp and circumstance, at the famed Wistaria Tea House. In Malaysia, we drank Tie Guanyin that had been grown in China, but imported and processed in Malaysia for the specific tastes of the Malaysian Chinese community. My point is that after meeting dozens of farmers and businessmen (always men) that live in these cultures, the most authentic thing one can do is actually drink tea. • How should people enjoy tea at Noraneko? 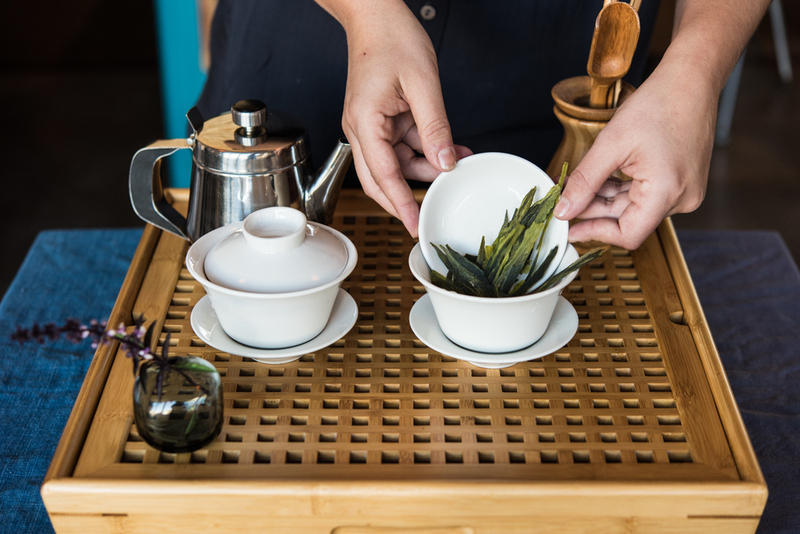 The beauty of gaiwan service is that the guest can really get to know their tea by looking at it, experiencing its aroma, and drinking multiple infusions throughout their meal. Our tea list is dynamic and fun, just like our menu and restaurant. So, I say in full earnestness, that the best way to enjoy tea at Noraneko is to drink it all the time. I begin my meal with tea and continue brewing long after I’m done with my food.